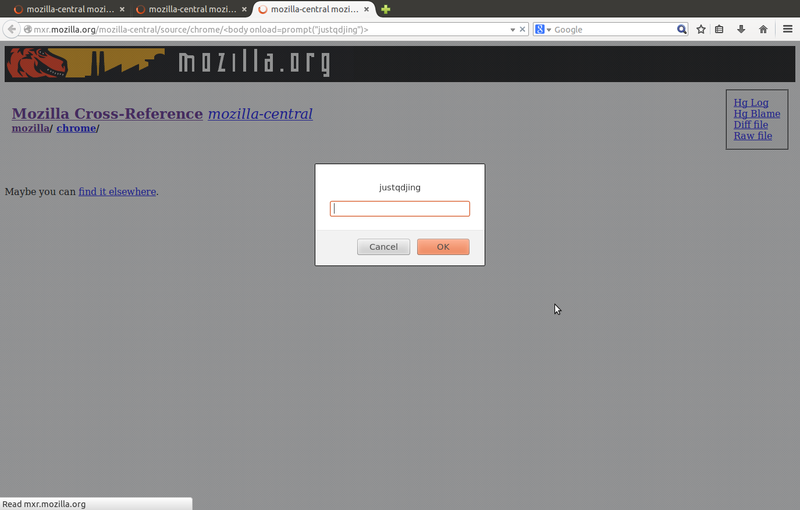 This means all URLs under the above two domains can be used for XSS attacks targeting Mozilla's users. Since there are large number of pages under them. Meanwhile, the contents of the two domains vary. This makes the vulnerability very dangerous. 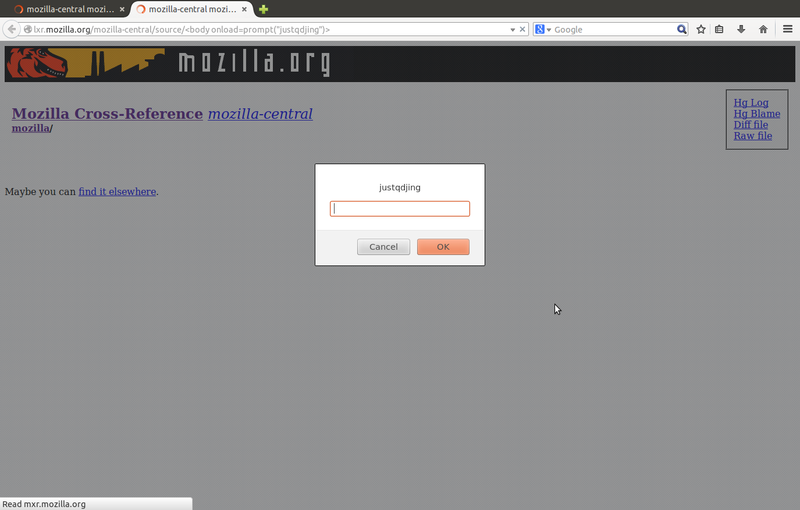 Attackers can use different URLs to design XSS attacks to Mozilla's variety class of users. If insert "<body onload=prompt("justqdjing")>" into the URL, the code can be executed.